A story featured a lot in the media the last days is the incident where one of richest women on the planet, Oprah Winfrey, was told that she couldn’t afford the handbag she wanted to look at in a Zürich shop. Was it racism or a misunderstanding because Oprah isn’t good at speaking German? Either way it was for sure an example of bad things happening when you don’t know your customer. This story also highlights the issues we have with foreign customers as Oprah may not be just as famous in Zürich as in New York. We have these challenges in customer master data management all over as described in the post Know Your Foreign Customer. And oh: Maybe it’s time to start a sister blog called Liliendahl on Fashion. 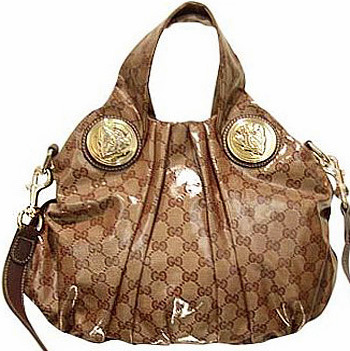 This is my second post on luxury handbags. The first post was called Data Quality Luxury. Maybe the retailer was too polite to say that the bag was horribly ugly? Maybe so, Jack. Like imagining say a luxury MDM vendor telling a wrongly classified prospect that they can’t afford their flagship product but this nice little access database is much better for you. OK, it wasn’t very realistic, was it? And maybe Oprah is just a big liar and this never happened.